Ok gang, first I put everyone's name in Excel. 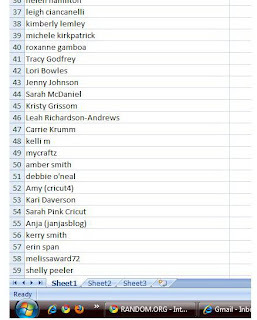 Then I added those of you with extra entries again. The way I added everyone was completely random. 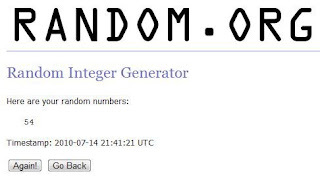 Then I went to random.org and generated the winner. Here you have it! 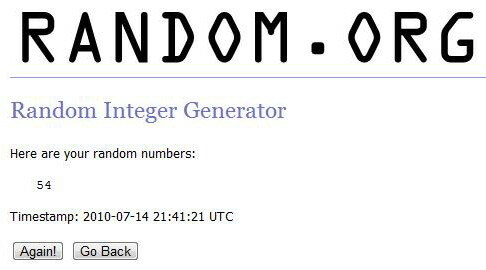 Thanks everyone for playing - would the winner kindly contact me with their mailing address? 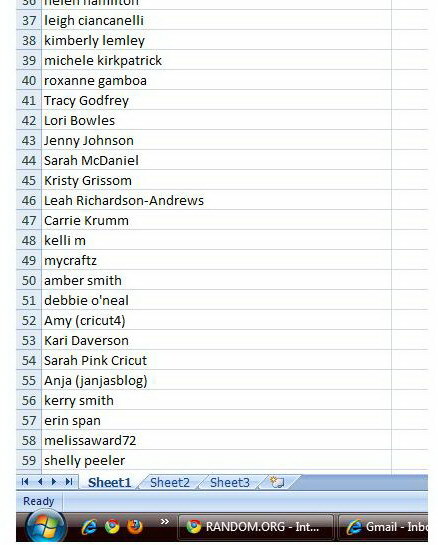 Congratulations Sarah from Pink Cricut! Congratulations Pink Cricut! Enjoy your cartridge! Congrats, Sarah! That cart is so cute! Tangee, I'm sorry you had a bad day! Hopefully things will be better tomorrow! Thank you for the blog candy and the inspiration!